We’re hiring talented resident aides and LPNs/clinical supervisors! Heritage Middleton offers excellence growth opportunities, competitive salaries, continuous training and more! 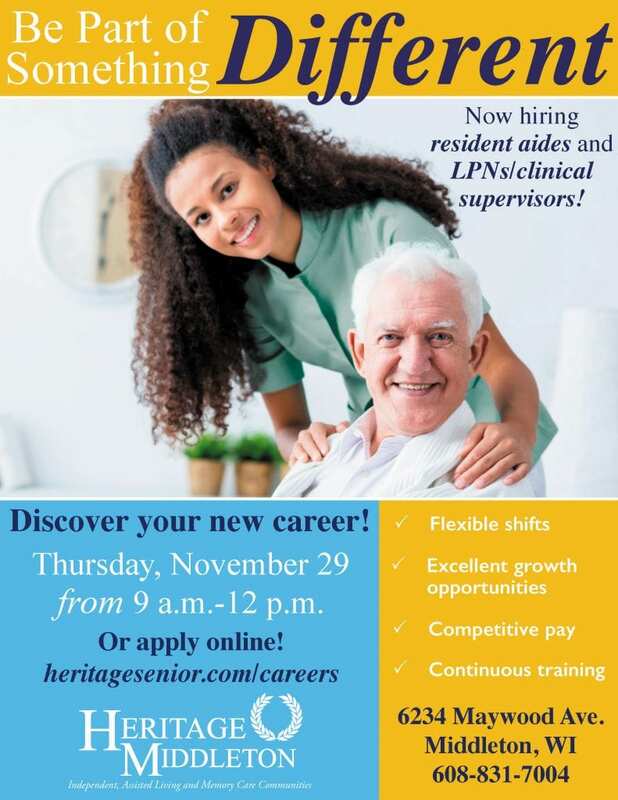 Stop by on November 29 to learn more about our positions and our community.